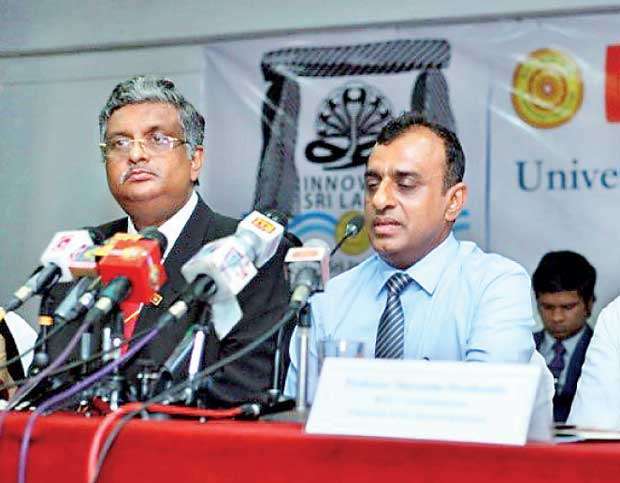 The University of Sri Jayewardenepura (USJP) celebrated the diamond jubilee since its establishment as the Vidyodya University in 1959, though it harbours a much longer history dating back to 1873 when the erudite monk, Ven. Hikkaduwe Sri Sumangala Thera, established the Vidyodaya Pirivena. Marking this milestone, the university together with its Innovation, Invention and Venture Creation Council (IIVCC), celebrated the institution’s fruitful results and decorative awards. The university celebrates the research, breakthrough discoveries and inventions produced by the institution with the purpose of highlighting timely social necessities. The IIVCC promotes these novelties integrating them with educational, socio-cultural, environmental and economic needs and challenges of the 21st century. “We have surpassed expectations and established our own research laboratories. 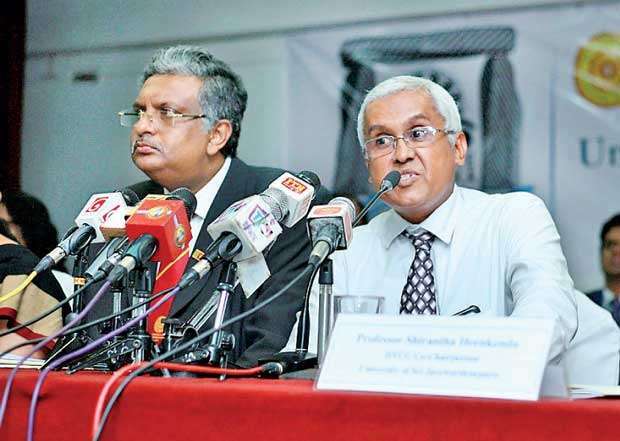 Even universities like Oxford and Cambridge have collaborated with us on new research,” Vice Chancellor Prof. Sampath Amaratunge said. The IIVCC, while producing social solutions to relevant issues, also produces young entrepreneurs and patent holders, creating employment opportunities for the masses. “Once dubbed as the ‘university of the penniless,’ we have always borne the responsibility of social welfare. Accordingly, we have made it a point to develop our medical, engineering and technology faculties along with our already prospering arts faculty. As a result, we have produced an array of new creations,” said IIVCC Co-Chairperson Prof. Shirantha Heenkenda. As evidence to the social crises the university’s research addresses, the scientists at USJP’s Centre for Dengue Research presented their groundbreaking findings. Cancers are grave crises in Sri Lanka and colorectal cancer alone is the fourth most common. Taking this into account, Dr. Bawantha Gamage, senior lecturer of the USJP Medical Sciences’ Department of Surgery, spearheaded the modified Enhanced Recovery After Surgery (mERAS) protocol to enable faster recovery for patients with colorectal cancer in the country. Replacing traditional methods, this system is able to discharge patients following 4 to 5 days of treatment. “Currently, colorectal cancer patients experience the fruits of our research. Since 2014, we have treated over 100 patients successfully. Our next step is to globalise this initiative,” said Dr. Gamage, whose teams’ efforts made history and won the title ‘Best Surgical Team of the Year 2018’ at the BMJ South Asia awards ceremony. Furthermore, numerous success stories from among the students at USJP were declared. Dulan Dias who won the Gold Award for the Tertiary Student Project at APICTA 2018 was able to bring glory to both his university and country. His invention, ‘Komposer – Automated Musical Note Generation based on Lyrics with Recurrent Neural Networks’ employed artificial intelligence to confer human creativity to a machine. His programme designs suitable melodies for input lyrics. He credits the university for pushing his project to reach international heights. Yet another student achievement esteemed by the university was the victory at RB Global Challenge 2018 by three USJP management undergraduates. 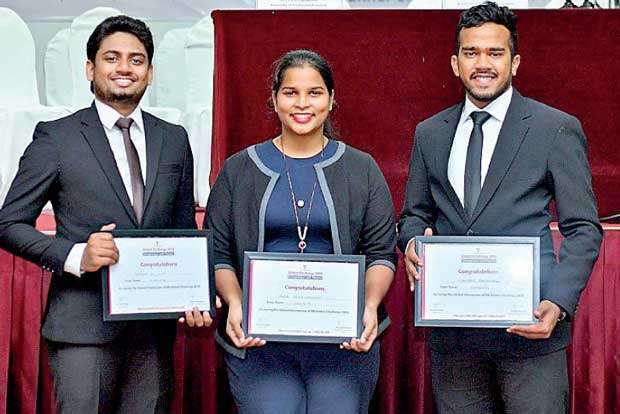 (Ms) Virgin Fernando, Madusha de Silva and Umendra Abeynayeke introduced a special mobile vaporizer against mosquitoes carrying the Dengue virus. They reined number one from among 19 participant countries representing 80% of the world population. Not only was it the first time a Sri Lankan team won this competition, but also the first time it participated. The three victors were invited to participate in the ‘One Young World 2019’ youth summit held in London. The myriad of fruits borne by IIVCC predominantly tackle socio-economic issues within the nation. Prof. Pradeep Jayweera presented the discovery of a low-cost Li-ion/S rechargeable battery for energy storage devices using Ilmenite — utilising Ilmenite resources of Pulmudai ensuring cost relieving local manufacture. The discussed venture received world recognition at the 2018 Lithium Conference held in Australia. 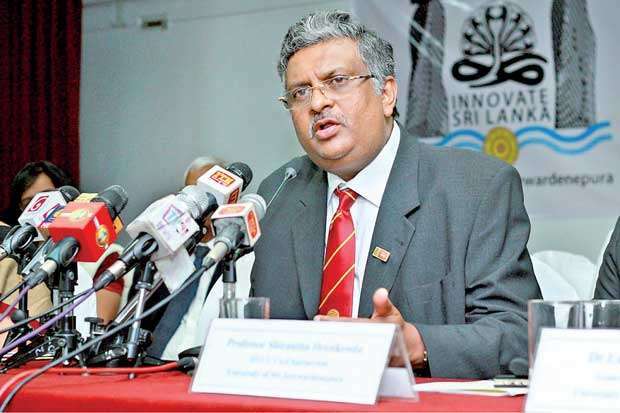 Exploring the objective of alleviating poverty through science, Prof. Nilwala Kottegoda introduced the university’s successful attempt to produce a novel type of fertilizer using nanotechnology. “When we mix fertilizers like Urea and Phosphate in soil, only 30% go towards reaping fruit while the remainder is released to the environment,” she said. Their cheap and efficient alternative has shown a yield improvement of up to 15% and a 25-50% reduction in the fertilizer usage. The endeavour received the national award for the “best innovation with commercial potential” in 2011, won the approval of four patents and nominated Prof. Kottegoda as one of the world’s top nine inventive women scientists by the World Intellectual Property Organisation in 2018. From digestives which eradicate micro-sleep – a leading cause of road accidents to bacteria based non-toxic dyes promoting the local textile industry – the university has published its countless discoveries and innovations in their website. “The engineering and technology faculties were our latest additions. We have integrated 60 postgraduates from around the world to these faculties during the past two years. My vision is to attach 40 more this year,” Vice Chancellor Prof. Sampath Amaratunge announced when talking about the way forward. Believing that the youth possesses the answers to solve the world’s problems, Prof. Amaratunge elaborated on the institution’s efforts to nurture its students both physically and mentally. Concluding on a note of ambitious hope, the USJP commemorated over a century of growth with the promise of continuing this stride and guiding the curious mind to better the world of tomorrow.